1600’s, and today Russia is the largest producer of oats. A mere 5% of the oats grown worldwide is used for human consumption, and is most commonly used as feed for horses. Oat is a robust grain offering much nutritional and health promoting properties. Even after the milling process, oats remain to be an excellent source of both dietary fibre as well as an array of diverse nutrients. 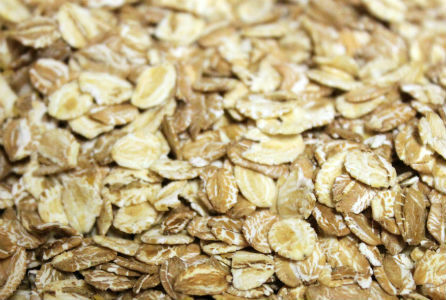 Oats have been cultivated for thousands of years. They have long been revered for their medicinal properties. In fact, oats are considered the “go-to” grain in many traditional cultures around the world. Oat flour has been used to treat skin conditions, help lower cholesterol and help promote optimal health. The consumption of oats can greatly decrease your risks of forming chronic conditions such as heart disease and diabetes. Oats, oat bran, and oatmeal contain soluble fibre, which directly helps lower cholesterol levels in the body. Oats are a source of dietary fibre. Fibre may help with weight management, as well as keep your digestive health in check. Fibre also acts to prevent constipation, help lower cholesterol levels, reduce cancer risk, as well as relieve other gastro-intestinal issues. Specifically, consuming regular amounts of high fibre foods, such as oats, may help reduce cancer risk. Oats are an excellent source of phytonutrients with antioxidant activity. Antioxidants, such as avenanthramides, play a role in decreasing cardiovascular damage. These beneficial compounds neutralize free radicals in the body. Free radicals directly damage blood vessels and can cause cholesterol to build up in artery walls; therefore, anti-oxidants can be helpful in preventing the development and progression of atherosclerosis, stroke, heart disease and arthritis. Avenanthramides have been shown to directly lower LDL cholesterol. The fibre in oats may have promising results in the management of Type 2 diabetes. The rise in blood glucose levels is much lower after eating oats compared to eating foods such as white rice. The presence of minerals such as magnesium further helps your body use glucose. Oats contain the trace mineral manganese, which is a critical component in energy production in the body. Manganese is required for bone health, and is used in the formation of both fatty acids and cholesterol. Manganese also plays a role in the maintenance of nerves, and protects the body from oxidative damage. Oats are a rich source of selenium, which acts along with fibre to help lower certain forms of cancer including colon cancer. Lignan, a phytochemical present in whole oats reduces the risk of getting breast cancer and colon cancer because it dilutes the effect of carcinogens and thereby prevents cancer. 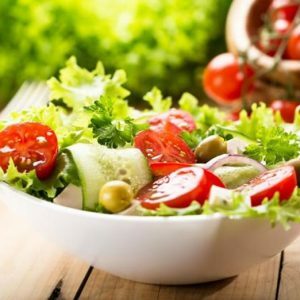 Selenium also works with vitamin E to act as a powerful antioxidant, which in turn protects the body from heart disease, atherosclerosis and stroke. 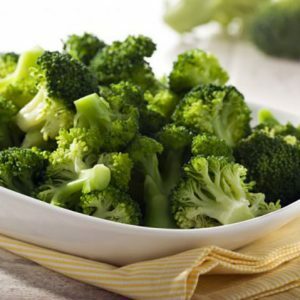 Selenium also plays a role in protecting against inflammation and thus provides relief from the symptoms of arthritis. Oats have a higher concentration of well-balanced protein than other cereals. They contain a good balance of essential fatty acids, which have been linked with longevity and general good health, and also have one of the best amino acid profiles of any grain. Amino acids are essential proteins that help facilitate optimum functioning of the body. Oat beta glucan also appears to help speed up response to infection, which may result in faster healing. According to a new study, it was discovered that beta glucan can enhance the ability of certain human immune cells to navigate to the site of a bacterial infection, resulting in faster healing. oats, milk and honey reduces stress and boosts up concentration. Oatmeal is considered to be good for the skin. Taking a bath with oatmeal helps to heal dry and flaky skin and eczema. Skin rashes and insect bites can also be healed with mashed oats. It can also be used as a scrubber to exfoliate your skin. Since whole grains are high in complex carbohydrates and fibre, they promote a feeling of fullness. Filling up on nutritious foods like whole grains is a smart thing to do when youÊ¼re trying to watch your weight. have the highest soluble fibre content of any grain. Though both types are important, soluble fibre is especially helpful against heart disease, and can help moderate blood sugars. Unlike many other cereals, most oat products generally retain their nutrient-rich bran and germ. Oat groats: whole oat kernel. Steel-cut/Irish oats: oat groats that have been cut into smaller pieces. Old-fashioned oats: oat groats than have been sliced, steamed and rolled. Quick-cooking oats: processed like old-fashioned oats, except they are cut finely before rolling. 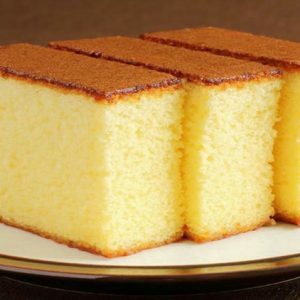 the process, while sugar, salt and other ingredients are often added to make the finished product. separately and can be added to recipes or used as a hot cereal. 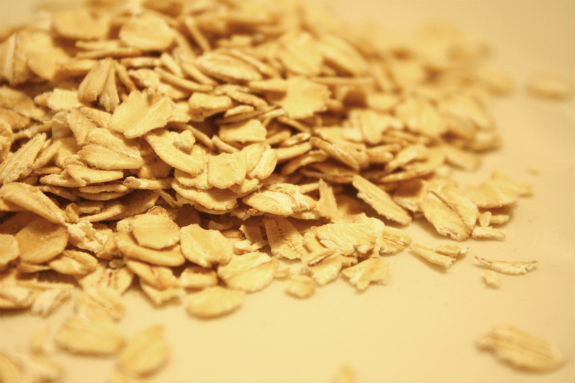 Oats contain small amounts of gliadin. Celiac disease is an intestinal allergic disorder whose victims are sensitive to gluten and gliadin, proteins in wheat and rye. People with celiac disease cannot digest the nutrients in these grains. Try these tasty ideas for adding oats to your diet: Substitute rolled oats for up to one third of the flour in breads, cookies, cakes and muffins. Add rolled oats to meat-based recipes such as meatloaf or meatballs. Add a few tablespoons of raw rolled oats to yogurt along with a serving of nuts and cut-up fruit. Use low-fat milk instead of water when cooking oatmeal. This adds extra protein and calcium, and lends a nice creamy taste. if taken regularly will keep you fresh throughout the day. Feel free to comment or share your thoughts on this "The Goodness of Oats" article from Awesome Cuisine.